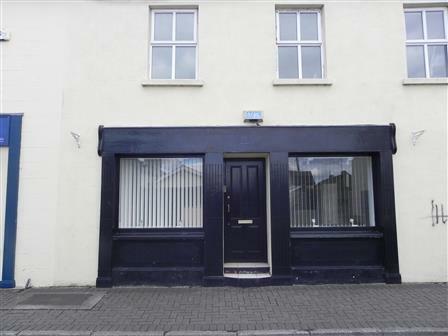 This property comprises of a ground floor commercial unit which includes reception area, 3 rooms, kitchen and toilet. Electric storage heating. Fully alarmed, security camera and safety buzzer on front door. This unit is situated in Newbridge, Co.Kildare and within walking distance of the main street, banks, post office and Whitewater Shopping Centre. Rent is subject to VAT.